The character of Sisko is an almost perfect inversion of the character of Picard. Was that intentional? 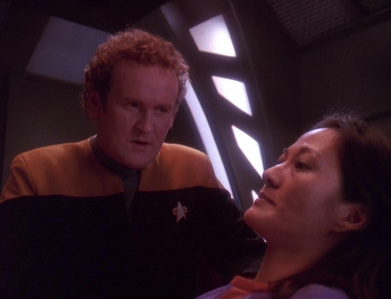 NAME THE EPISODE: Keiko is possessed por a being who threatens to kill her body unless O'Brien completes certain reconfigurations to DS9's systems.